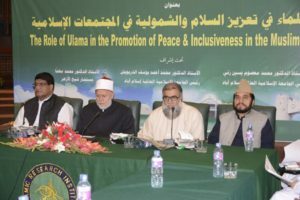 Islamic Research Institute is a pioneer Pakistani Institute. It was proposed in the Article 197 of 1956 Constitution of Islamic Republic of Pakistan. The Institute was established for development appropriate methodologies for research in various fields of Islamic Learning. 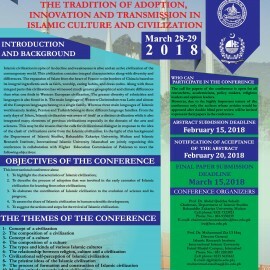 The contemplation of interpretation of Islamic Teaching in the context of interpretation and scientific programs of the modern world was also included in the Objectives of Islamic Research institute. For the last six decades, the Institute is trying to contribute in the evolution of Islamic Thoughts as per its Objectives through publication of books, monographs, Research Journals and other material on the various topics of Islam. For the last one year, in the new leadership, the Institute has accelerated its activities and we are hopeful that it will soon raise and its traditional peak as a research arm for IIU. I invite scholars and post-graduate students through this Website to visit IRI and utilized its services. 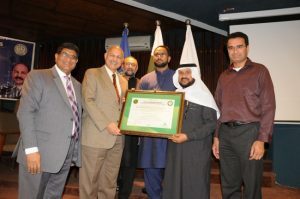 Islamic Research Institute is a research arm of International Islamic University. The Institute has not only conducted research on the various themes of Islamic Learning but also provides training opportunities in this regard. 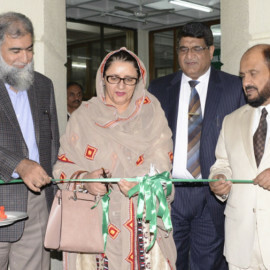 The Institute has a long history of excellent services through the promotion of research culture in Pakistan. Recently, new steps have been taken to uplift the Institute. The renovation of the Institute building is continued, Historical Gallery has been added and the IRI Press has been refurbished. Now the Institute has accelerated its publications and new steps have been taken to advance research culture. 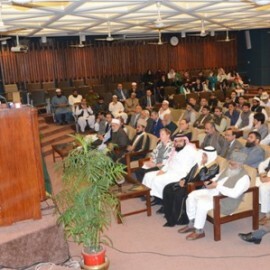 The Institute has also prepared short-term and long-term planning for next few years and along with continue activities of Conferences and Seminars, the Institute will soon introduce post-graduate Fellowship and other Training Program in the field of Islamic Research. 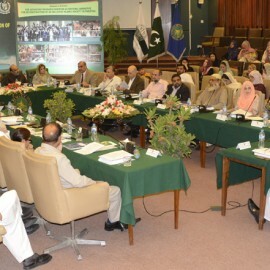 The efforts of the Institute for provision of Research Training for the post-graduate students has a new addition in its activities and hopefully that coming two years, the Institute will be able to make a difference in its activities to again attain the pride and excellent research institution. 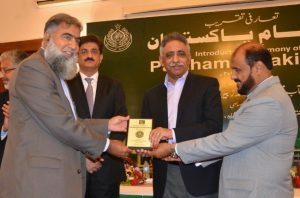 Welcome to the Islamic Research Institute Website.This Institute is Pakistan's premier research institute established on 10 March 1960 "to organise research on Islam, to give it a rational and scientific interpretation in the context of modern age and to bring out the achievements of Muslims in the fields of history, philosophy, science and culture" (Notification of Establishment 1960). It is my pleasure to introduce the Institute, its history, objectives, organisational structure and its activities. This website is an attempt to outreach scholars, students and researchers interested in research on Islam. On this website you can consult our catalogue of publications, and can contact our Publication Unit for placing orders. You may visit our library, including our digital collection, and contact the Chief Librarian for further information. You are also welcome to consult and contribute research articles in our three quarterly Journals, published in English, Arabic and Urdu. The details about the style and basic requirements for submitting manuscripts for publication are provided in the Journals section. The Institute will be pleased to answer your inquiries about the Institute and its activities. The relevant contact addresses are given below.